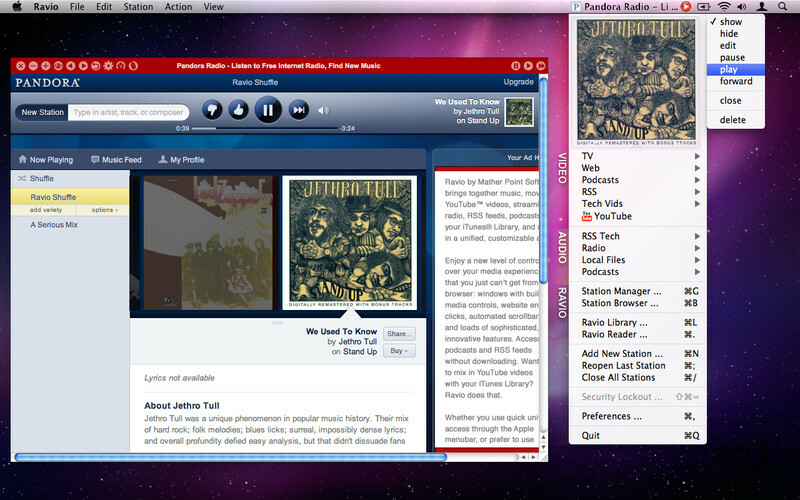 Media hub for your iTunes, Web applications, and more. Is there a better alternative to Ravio? Is Ravio really the best app in Audio category? 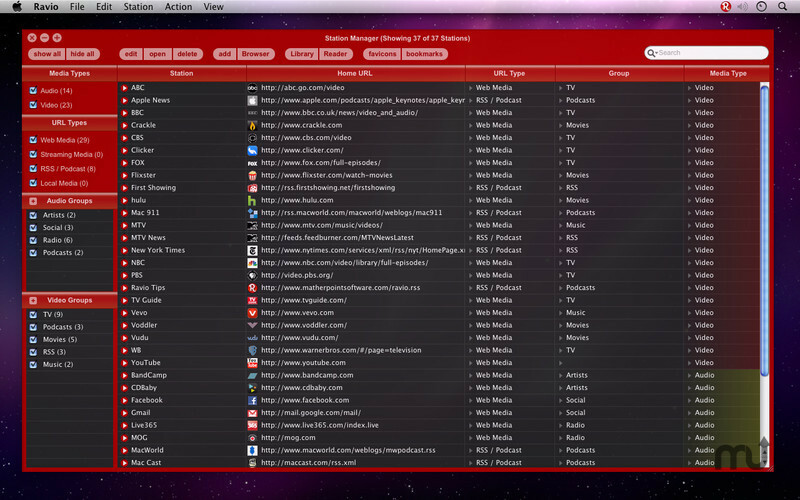 Will Ravio work good on macOS 10.13.4? Ravio brings together music, movies, YouTube videos, streaming radio, RSS feeds, podcasts, your iTunes Library, and more, in a unified, customizable application. Enjoy a new level of control over your media experience that you just can't get from a browser: windows with built-in media controls, website entry clicks, automated scrollbars, and loads of sophisticated, innovative features. 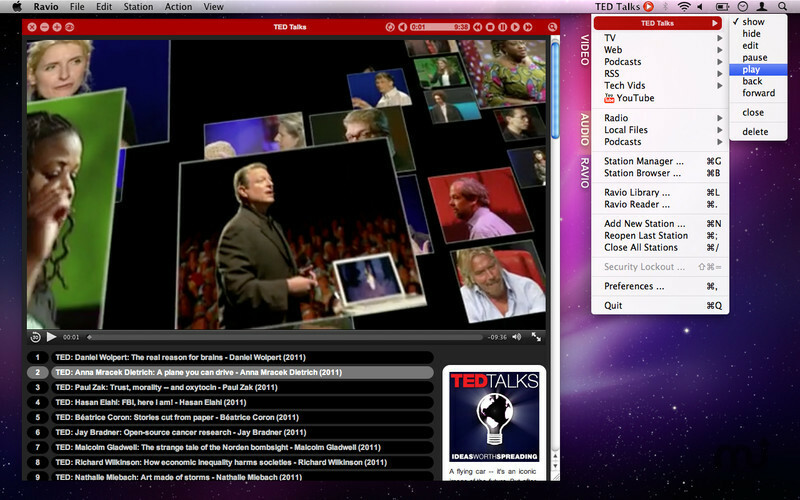 Access podcasts and RSS feeds without downloading. 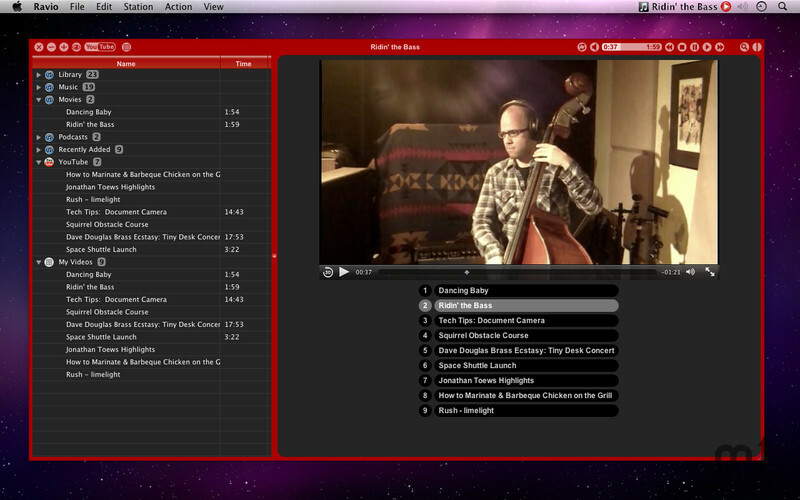 Want to mix in YouTube videos with your iTunes Library? Ravio does that. 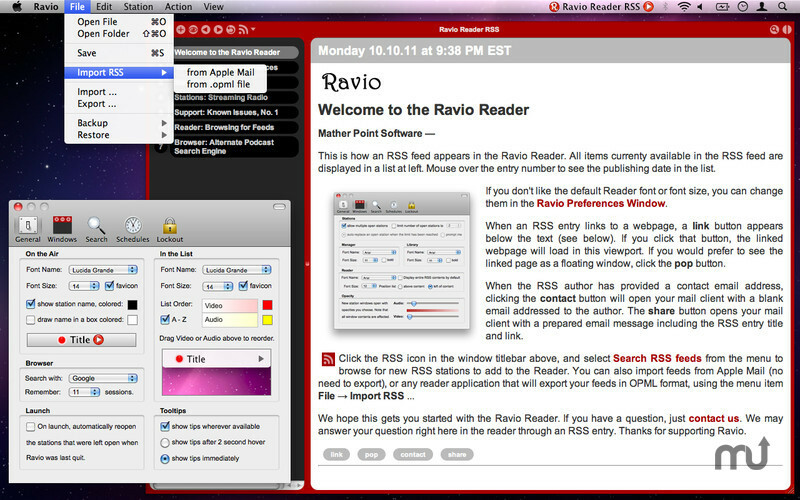 Whether you use quick universal access through the Apple menubar, or prefer to use the Ravio Station Manager window, we think you'll love Ravio, and we promise you responsive support.